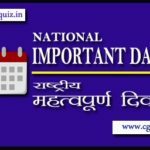 India General Knowledge Quiz-01 of all top National and International Awards [Gk in Hindi], Indian Navy Ranks, all Indian national related dance form & India history Gk questions and answers quiz, Important National International days list etc. 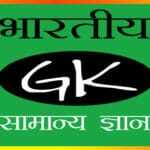 Que (01): In what area are given “Borlaug Award“. Que (02): In what is given “Diameter Award“. Que (03): What is the “Grammy Awards“. Que (04): Which area is concerned “Yamini Krishnamurthy“. Que (05): Who is the “Chief of Navy“. Que (06): Where is the “WTO” and “WHO” Headquarters ? Que (07): What is the author name of the “Ayne Akbari” ? Que (12): What is the founder of “Tughlakabad“. Que (16): What is the God Father name of “Gujarat” ?